Back in 1970 it seemed as if most of the switchers at the former New York Central's Goodman Street Yard in Rochester, New York were either Alco RS-1s or S2s like no. 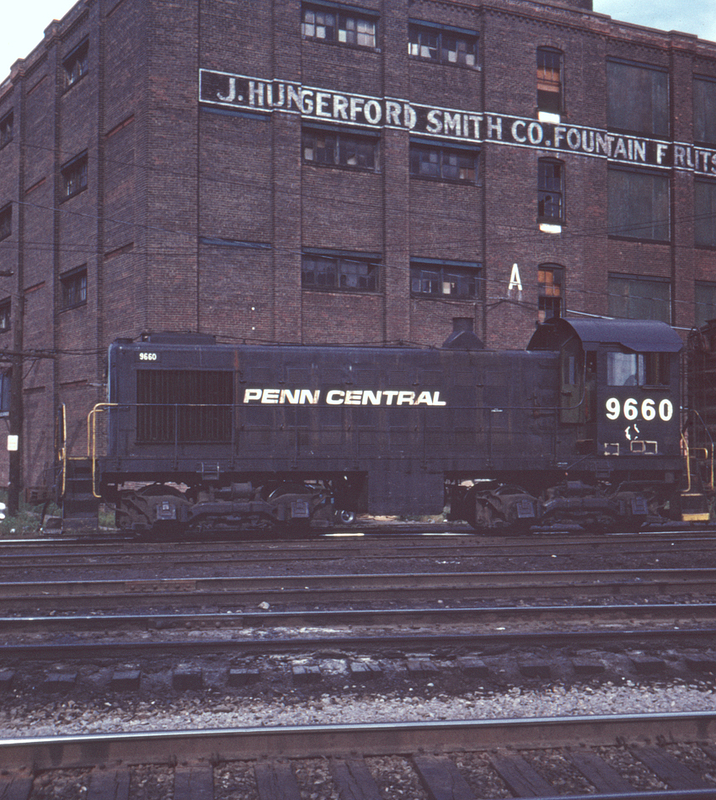 9660 here, by now lettered for Penn Central. This view is from the end of Circle Street.